The Zambezi River flows through six countries to make its notable descent over the mighty Victoria Falls – one of the Seven Natural Wonders of the World and a World Heritage site. This impressive body of water is the fourth largest river in Africa, has a catchment covering 1,390,000 km², a length of approximately 2700km and flows from its source in north-western Zambia right through to the Indian Ocean. With those impressive dimensions, it no surprise that the water levels vary year-round and have knock-on effects on the area. It must be said that at any time of the year Victoria Falls has so much to offer and is a year-round destination thanks to its mild winters, hot summers, and enviable location between Zambia and Zimbabwe. 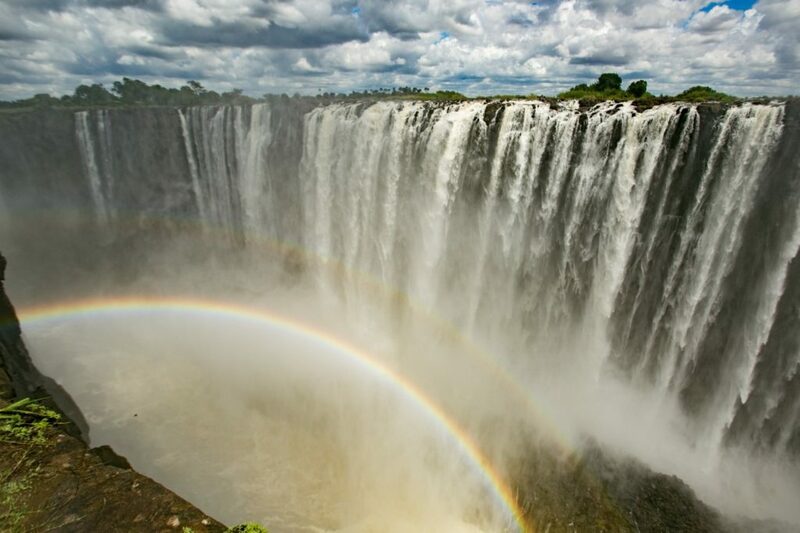 The Victoria Falls themselves, needless to say, are always an incredible sight, no matter the season or the reason. 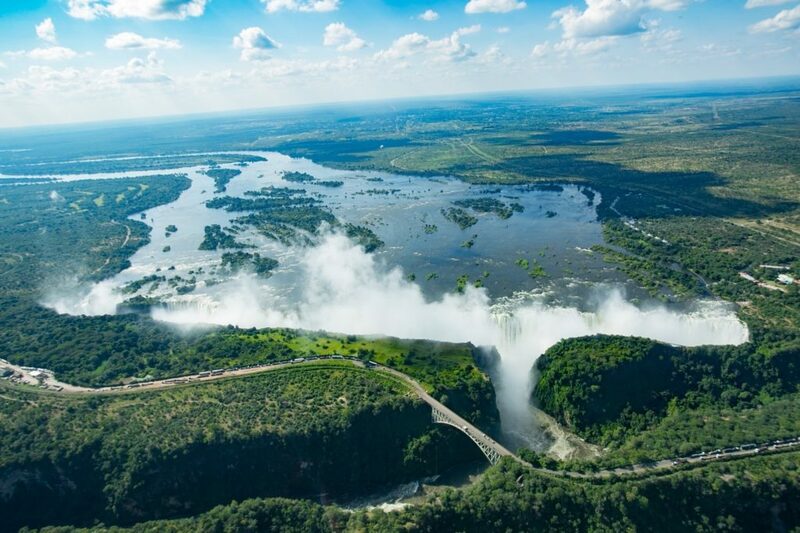 There is so much to learn and discover and here are some interesting facts about the Zambezi River and Victoria Falls water levels we bet you didn’t know. 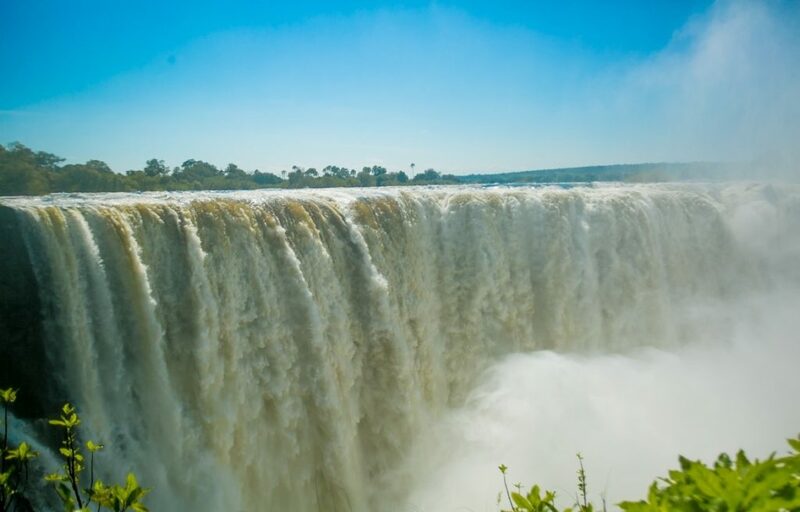 Water levels of the Zambezi rise and drop so dramatically throughout the year that at its lowest water level in October, November and early December, some sections of the Falls dry up and the spray is at its least, if any. Contrary to some speculation, the Falls will never dry up, so you are guaranteed to always witness this world wonder, no matter the time of year. The lowest recorded water flows recorded until today were during the 1995/96 season which clocked an annual mean flow of 390 cubic metres per second. In contrast, the Victoria Falls are currently flowing at 4,700 cubic meters per second! 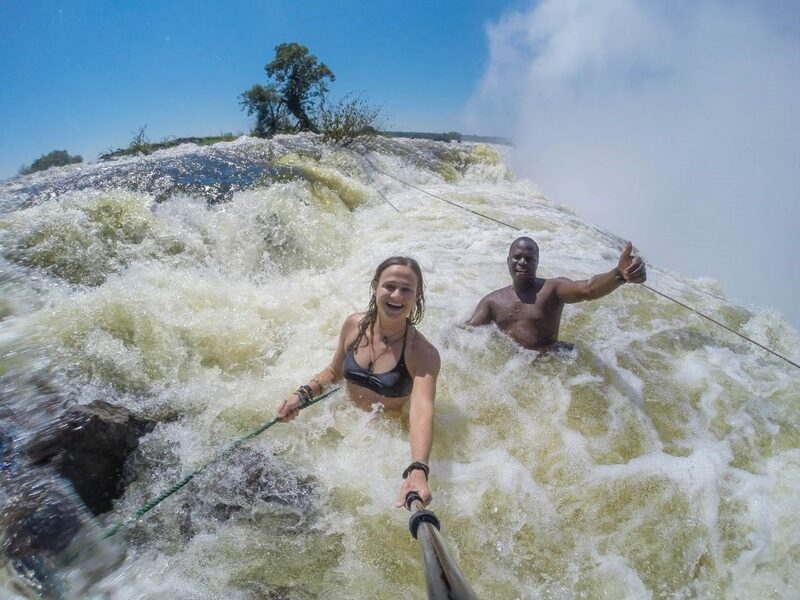 From the months of September to December, when the Zambezi River is at a safe level, adrenalin daredevils can swim in a naturally formed pool at the edge of the Falls, appropriately named the “Devil’s Swimming Pool”. This pool is accessed from Livingstone Island – the island that David Livingston first saw the Falls from, hundreds of years ago. If we think this year the water levels have been high, where our peak reached 4,700 cubic meters of water per second, try to imagine the levels nearly three times higher and more powerful. Truly incredible, right? The highest recorded water level in Victoria Falls was back in 1958 where it reached more than 11,600 cubic meters of water per second! At Ilala Lodge Hotel, we can currently feel the power of the thunderous falls with their constant vibrations at the hotel, and the doors shake and rattle throughout the day. At the Ra-Ikane jetty site, we record and track of the water levels each year and it is amazing to see the change that can happen overnight. 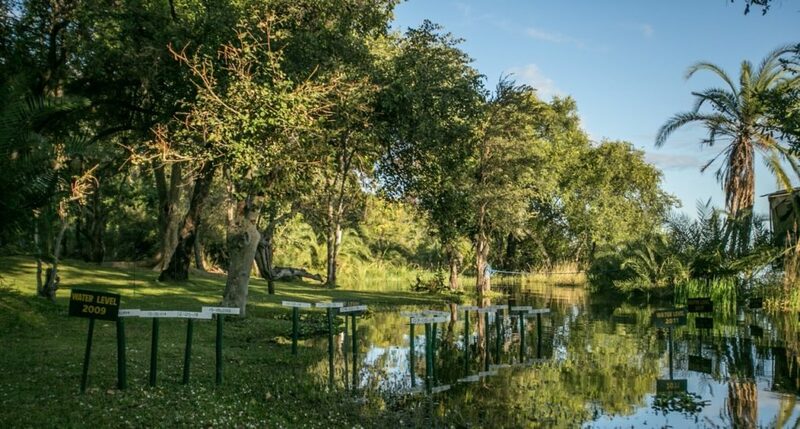 In recent times, the highest water levels were recorded in Victoria Falls in 2006 where even the local Boat Club was flooded and forced to close. The second highest levels were recorded in 2009 where the water in the gorge rose over 12 meters above its normal recorded level that year. Did you know that the power of the Zambezi River is strong enough to wash away even the largest land mammal in the world? In April 2013, during the high-water level, it was reported that four elephants who were swimming across the river channel, were sadly swept away by the ferocious currents and over the Falls. 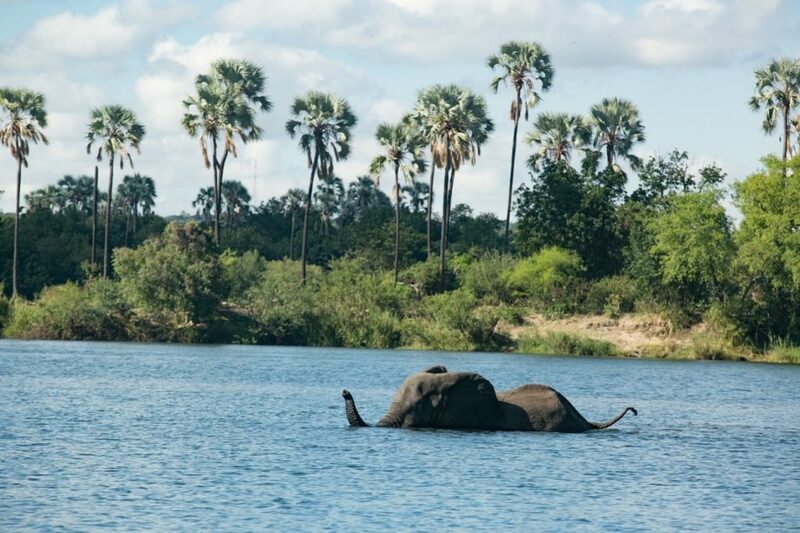 Being such a prominent part of the lives of those who inhabit the area, the Zambezi River has a great deal of magic and mystery attached to it. The local inhabitants believe the Zambezi River has a “River-God “spirit, the famous Nyami-Nyami, who watches over the river. In the rainy season when the plain is in full flood, a ceremony known as the Ku-omboka Ceremony, takes place where the local people move onto higher ground to escape the Zambezi flood waters. Come the end of the rainy season in Southern Africa, the sheer volume of water cascading over the Falls is at its peak. This results in the spray from the Falls being so thick and dense that it literally “rains” down on you so be prepared to get drenched! This is an excellent time to view the Falls from above on a helicopter flight. This happy medium is one of the best time of year to view Victoria Falls. With an enjoyable amount of spray falling down on you and cooling you off, you can also view the falls in their enormity and peer down cliff faces, down into the gorge below. The low water season is a fantastic time to photograph Victoria Falls with the cliff face exposed and this spectacular geographical formation is in plain sight. The spray is less, the skies are sunny and blue and there are less visitors to the area too. If you are feeling daring, why not take a hike down the Gorge and view the Falls from a different perspective? 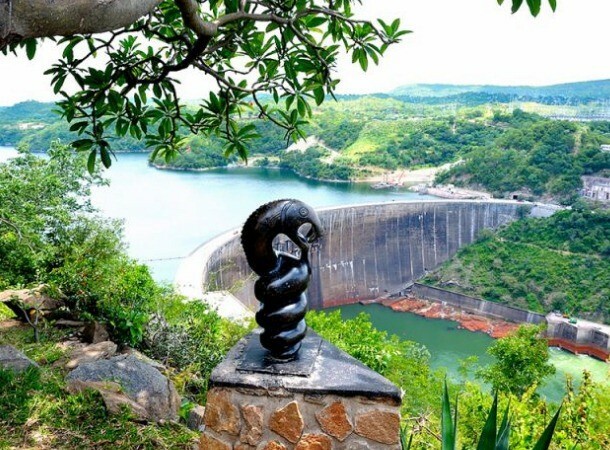 The Zambezi River flow has been increasing steadily as is expected, and at the end of this week, it was at 4,604 cubic meters per second in comparison to 2,647m cubic meters per second on the same day last year. 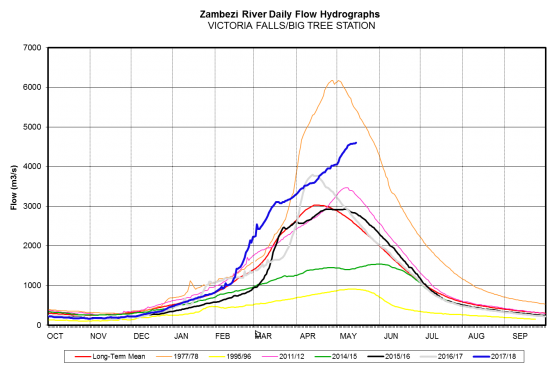 The river water levels will begin to drop from June until December. 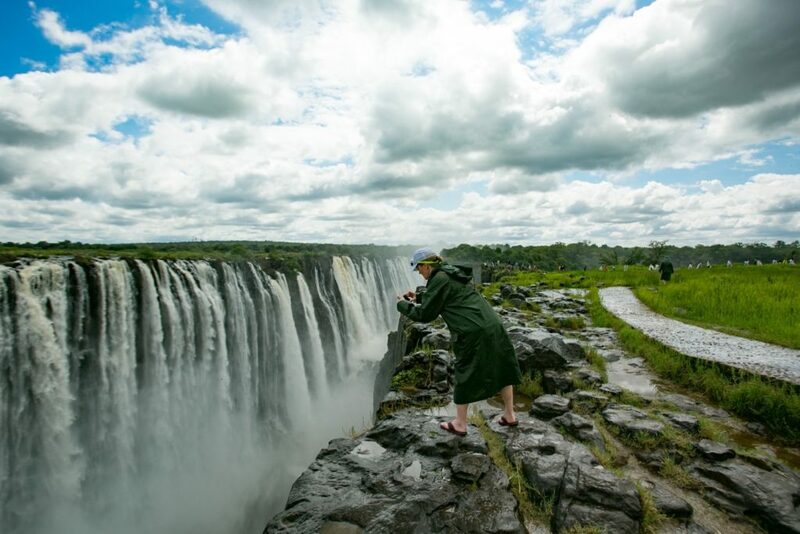 Each season and water level offer tourists a new and exciting opportunity to view the majestic Victoria Falls and a variety of activities for any taste, interest or adventure-seeking level. We would love to hear which season your favourite is and why?